Searching for a new SUV for sale? Our inventory of new models includes fan favorites like the Buick Encore, the Enclave's towing capacity, the safety-smart Equinox, as well as the increasingly popular Chevrolet Trax, and when you act quickly, you can get a great deal on whichever model catches your eye. We even offer a variety of new models priced under $20K! 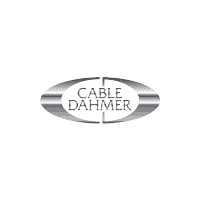 When you're ready to start your next adventure, contact the Cable Dahmer Auto Group to schedule a test drive in any of our new SUVs. Why Choose One of the New SUVs at Cable Dahmer Auto Group? Contact us today to ask questions about the Equinox, to compare the Chevy Equinox vs. Honda CR-V, or to schedule time in the driver's seat.